Kusmi Tea is one of my favorite tea brands—I’m particularly passionate about their Chocolat Epices and St. Petersburg blends. 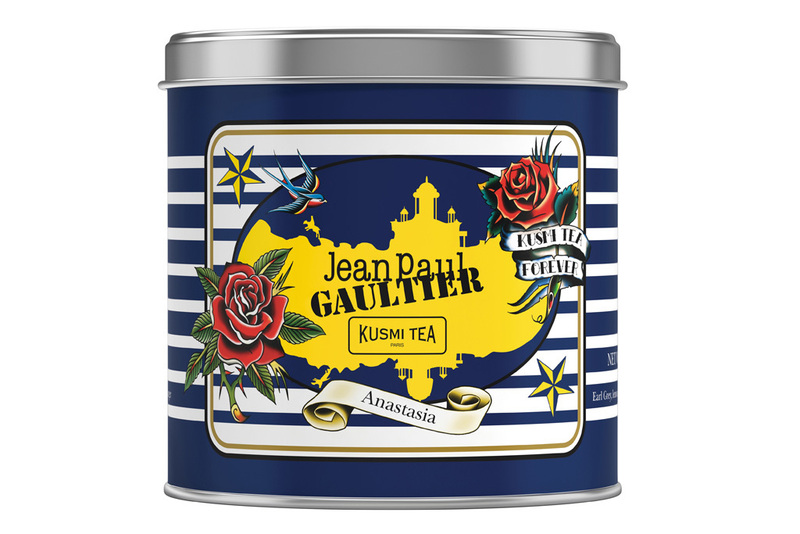 And now Kusmi is collaborating with designer Jean-Paul Gaultier, who has created limited-edition packaging for the company’s tea tins to coincide with an exhibition of his work at the Grand Palais in Paris. I always enjoy seeing Gaultier’s limited-edition designs for his Gaultier Classique perfume, and this new collaboration features his signature tattoo motifs and sailor-shirt stripes. I’ve always wondered if these teas were any good. I’m going to have to give them a try now. T, yes, they are really good! My favorite tea brands are Palais des Thes, Harneys, and Kusmi. Kusmi has a cute shop in Manhattan but isn’t hard to find online, either.